Many skaters choose to inline skate in unusual places with off-road skating and all-terrain roller sports. These activities require skates that are designed with bigger wheels that make them much better suited for rolling on a variety of surface textures. Off-road and all-terrain skating is a combination of mountain biking, skiing and rollerblading squeezed into one skating sport. Who Tries Off-Road and All-Terrain Skating? 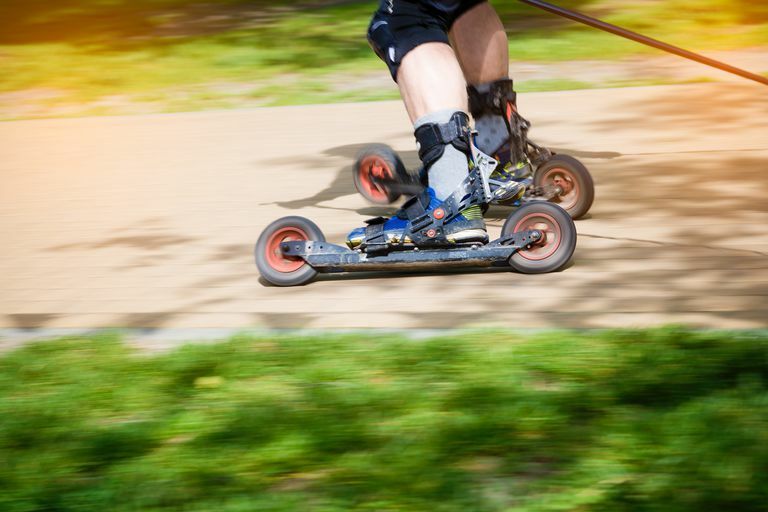 These athletes use special inline or quad skates with over-sized wheels that allow them to skate on dirt paths, sand, mountain trails and rocky roads. All-terrain inline skates include several types of skate with a soft or hard boot and a reliable closure system. There are also models that are designed to clip on to your shoes or boots. Most all-terrain skates have a long wheelbase, and many use pneumatic wheels that can roll over many surfaces. Some models even come with a hand-activated braking system for speed control easy stopping. Inline LandRollers that come with over-sized wheels that are angled on the outside of the skate, rather than centered under the boot. Gateskate offers Trailskate Freestyle Inline Off-Road Skates that are designed to go over any type of surface including asphalt, dirt, gravel, grass and mountain trails. Rockville™ All-Terrain Skate models include Fleet Feet, Ranger, Nitro, Street Feet and Leaps that can take you beyond the limits of regular inline skates. The BigFoot quad roller skates feature four oversize all-terrain wheels and a hockey-style skate boot. Skate almost anywhere on quads with Skorpion™ Multi Terrain Skates. Powerslide XC Trail Skates are lightweight, easy-to-use all-terrain setups. Powerslide Vi SUV Skates offer a comfort level close to that of a fitness skate with many technological improvements. Skike skates were designed in Germany for off-road skating and all-terrain. Give All-Terrain Skating a Try! If you are looking for a recreational or fitness activity, but you really need a more exciting inline skating sport, off-road and all-terrain skating might be good activities for you to try. Recreational inline skating includes a variety of activities that are suitable for skaters of all ages and many skating levels. Inline fitness skating is more goal-oriented skating to achieve medical, mental or physical benefits. Street and road skating are organized group events on public thoroughfares and smooth paved roads. Speed skating and inline racing are recognized as competitive disciplines around the world. Marathon skating events are taking place on every continent. Freestyle slalom skating lets you dance and spin around cones. Dryland skating or inline figure skating is very similar to ice figure skating. Inline hockey skating is a popular year-round sport at the amateur, scholastic and professional levels. Inline roller soccer is a unique version of regular soccer. Roller cricket athletes play all batting, bowling and fielding positions on roller skates. Roll ball is becoming a popular school sport. Inline basketball is an easy roller sport to develop. Aggressive and stunt skating includes jumps, grinds, slides and flips. Urban inline skating is a great activity for young or young-at-heart thrill-seekers. Skate cross is an aggressive ramp and obstacle course race on inline or quad skates. Nordic inline skating is also called cross-skating or Nordic blading. Kite skating is an extreme inline-based roller sport. Wind skating or skate sailing is a wind powered inline sport. Downhill racing is similar to the Alpine downhill ski racing. 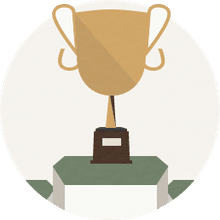 If you are not sure that your interests will be dedicated to any one of these specific skating styles, start by building a good foundation of recreational or fitness activities and training. Good basic skills will take you in any direction that you want to roll.